It’s a discipline that I’m still working on (and probably always will be). My mind is not, naturally, a quiet place. Yours probably isn’t either. Am I right? 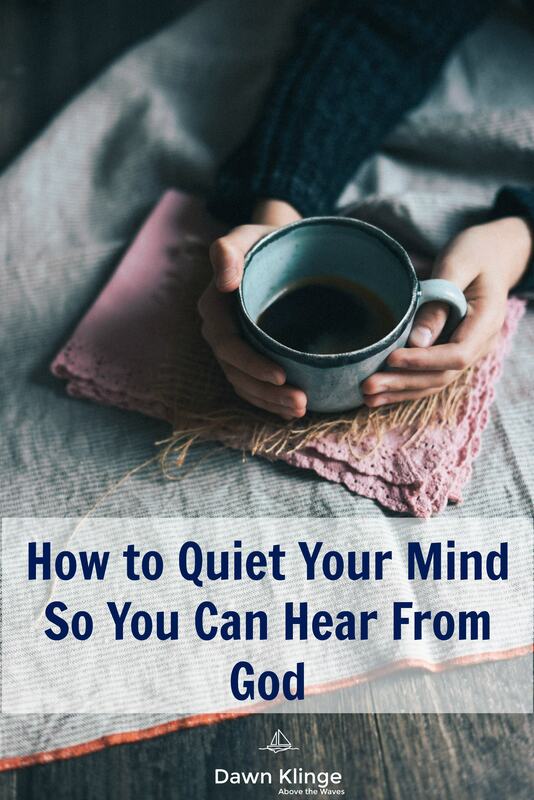 Distractions are everywhere, but there are steps we can take to minimize those distractions and quiet our thoughts, even in the midst of our busy lives. We need quiet pauses in our day. We need to make space for listening to the most important voice of all- the voice of God. Last week, here on the blog, I wrote about some ideas for becoming a better listener in our conversations with others. You can read that post, HERE. This week, I want to continue on the topic of listening. Notice that God’s voice came to Elijah as a gentle whisper. We have to be quiet to hear a whisper. I think, too, of how Jesus went away to “lonely places and prayed” (Luke 5:16). 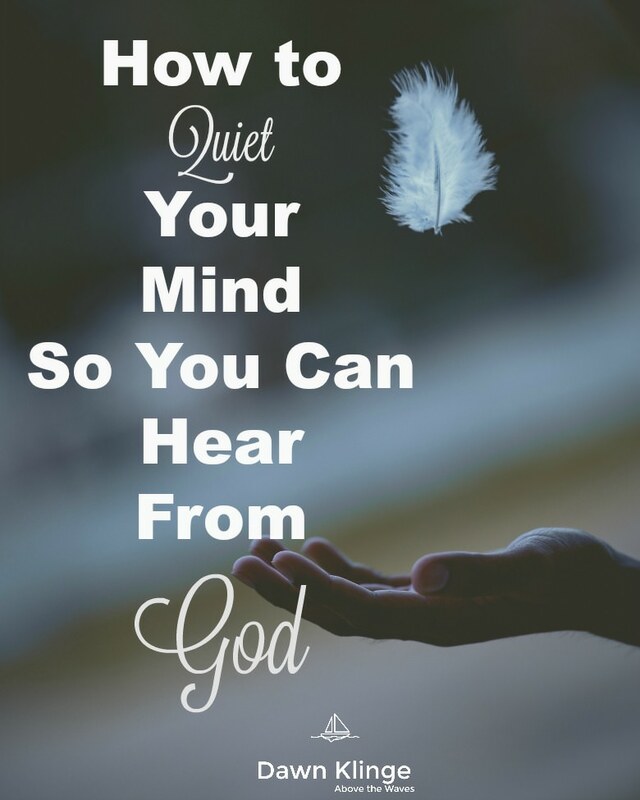 My own experiences in hearing God speak to me seem to come during the quiet times as well. Do I hear an audible voice? I haven’t, personally (but that doesn’t mean it doesn’t happen). It would be interesting to search for all the instances where God speaks to people in an audible voice throughout the Bible. There are plenty of examples to be found. For me, I hear God when I’m reading the Bible. The meaning of a certain verse, maybe something I’ve read many times before, will suddenly become more clear, often speaking to an area of my life that I have questions about. There are other times when I read the Bible; I might not feel like I received a whole lot from that time. But later, sometimes much later, when I need it, a verse will come back to me- and it’s like a light bulb comes on. A fresh perspective, a thought that I know wasn’t from me…these are some of the ways I hear God speaking to me. God speaks to us through the Bible and it’s the Holy Spirit that illuminates His Word, speaking to us so that we can better understand it and how it relates to our lives. If we’re wondering whether the voice we’re hearing is the voice of God, there’s an easy test. God won’t contradict himself. We can measure everything against his Word in the Bible. We can, and should, test everything we hear against the Scriptures. I believe that God speaks to us but we miss out on what he’s saying because we’re not listening. 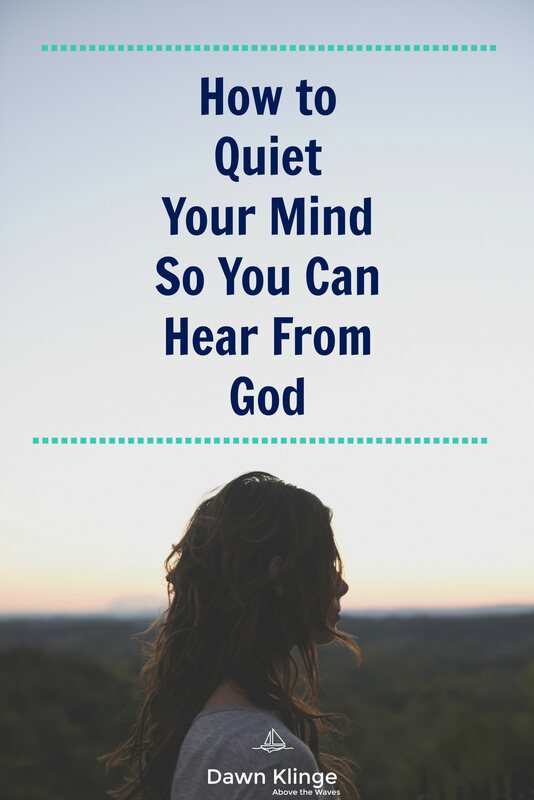 How can we quiet our minds and minimize the distractions that get in the way of hearing from God? 1. Place yourself in an environment that helps you concentrate. Find a quiet corner or room that is away from distractions. I live in small house with my husband and two teens, so sometimes, the only place I can find is the bathroom! I like to fill up the bathtub with hot water, lock the door, and read my Bible while I soak. 2. Talk to God about what you’re reading in the Bible when you pray. Treat it like a conversation. Leave space and quiet for him to respond. 3. Don’t fight distracting thoughts by trying to avoid them altogether. The more you focus on what you don’t want to think about, the more you’ll think about it! Instead, think of those distracting thoughts as if you’re sitting by the side of a busy freeway. The thoughts are like cars speeding by. Acknowledge that they’re there, watch them go by, and let go. 4. Choose a short phrase or sentence from the Bible. Meditate on it, reading and re-reading it until it really sinks in. 5. Find a time to pray and meditate that works for you and stay consistent with that time. First thing in the morning works for a lot of people. 6. Start small. Baby steps. If you aren’t used to sitting quietly, try 5 minutes until that gets easier, then work your way up to longer periods. The habit of listening is something that you can improve upon and develop. It doesn’t always come easily. With a little practice and intention, you can strengthen your ability to quiet your mind and meditate. 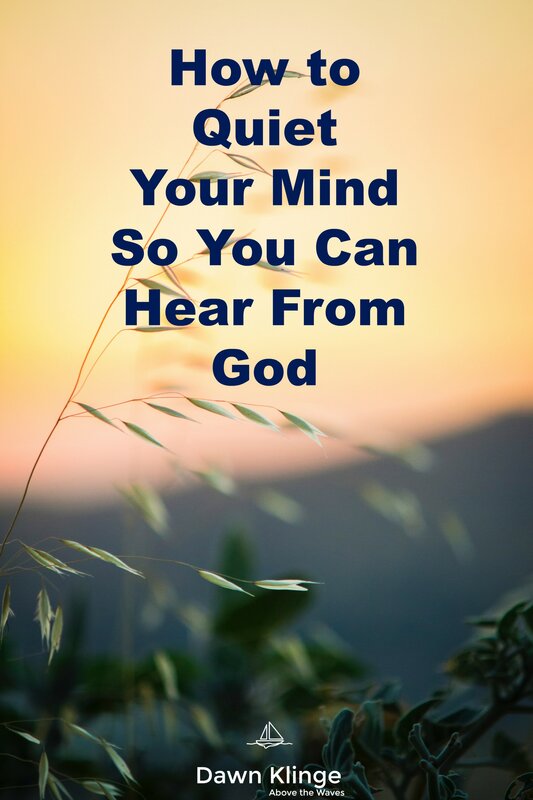 Listen for God’s voice. He’s has something to say to you.